A new framework for 16-19 year-olds which recognises both academic and extra-curricular achievements could be a blueprint for the future. Principals Jackie Johnston and David Adelman explain how it works. The Nuffield Review of 14-19 education, Education for All (2009), poses a key question: What counts a as an educated 19 year-old in this day and age? This was one of the starting points for the Sixth Form Bac (SFBac), developed by the Sixth Form Colleges Forum (SFCF), which is currently being piloted by 11 colleges. First, let’s be clear: the SFBac is not a qualification itself. Rather, it is a framework for the 16-19 phase which enables institutions to use existing national qualifications in creative ways and to incorporate other activities alongside them. The framework is inclusive, as it can be awarded at several levels of study, and non-prescriptive in that it can accommodate institutions and students with differently shaped curriculum programmes. There are four themes – subjects, skills, values and breadth – which colleges adapt to their own circumstances, and no specific qualification is compulsory. For a level 1 or 2 course, a student has to accumulate 600 hours of learning, while for a level 3 the requirement is 1,200 hours over two years. The subject requirement is 450 hours on a one-year level 1 or 2 course and 900 hours for a level 3 course over two years. These hours are drawn from the main examination courses that a student takes, whether that means A levels, BTECs at levels 1, 2 or 3, GCSEs, Diplomas, CACHE (child care qualifications) or other mainstream qualifications. The remaining hours – 150 at levels 1 and 2 and 300 hours at level 3 – should cover the skills and values elements of the framework and may or may not involve examined qualifications. ‘Skills’ means learning skills – study skills and key skills as well as life skills in relation to finance, social interaction, well-being and work. 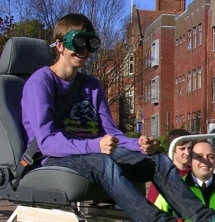 Participation in various activities, such as an examined course on personal finance, a safe driving event, sport and work experience could be recognised and valued through the framework. By ‘values’ we mean citizenship and community learning demonstrated by involvement in relation to college, local, national and even global communities. It could be through fundraising at Rag Week, being part of the college Amnesty International group, participating in a Global Awareness Day or taking a course in citizenship at AS level. To meet the overarching requirement for ‘breadth’, students have to show participation in four domains: arts and culture; business and social sciences; humanities and languages; and science and maths. (Other categories could be included.) Activities within all aspects of a student’s programme may contribute. Breadth can also be reflected in other ways, such as modes of assessment, pegagogic methods or learning contexts. The validation process is based on teacher judgement across the institutions. The colleges submitted a detailed account of their curriculum and how it fitted the framework which was then studied by a validation team, including David Igoe, the chief executive of the SFCF and Professor Ken Spours of the Institute of Education, plus peers from some of the colleges. The shared deliberation built meaningful discussion of how the entirety of young people’s educational experiences can be measured and endorsed without resorting to mechanistic reductionism. The colleges’ submissions underlined how complementary activities can enhance the whole student, building a curriculum in its widest sense. The 11 pilot colleges are spread geographically from the north west to the south east. Some are in urban areas with high levels of deprivation, others in mixed social areas including rural and suburban environments. Each college has used the framework differently to meet its own local context and needs. Implementation strategies have also varied. Huddersfield New College intend their first cohort to be the students on BTEC courses such as business, ICT, sport, travel and tourism and childcare. “We are building into our programmes relevant additional skills which the students themselves have identified as being worthwhile, such as travel students developing their abilities in a modern foreign language and childcare students their training in first aid,” says Nev Phillips, the college’s 14-19 manager. Additional qualifications such as the Sports Leaders Award or the Duke of Edinburgh Expedition Award are being incorporated. At our own colleges, Collyer’s and Godalming, we are planning large scale roll-outs to entitle all students enrolling in 2010 to work towards achieving the SFBac. Level 2 students will therefore be first to claim their SFBac in summer 2011. At Collyer’s, work has been done on a TRAK (thinking, reasoning and academic k knowledge) course to build skills into the first year of study, while at Godalming, the use of the EPQ (Extended Project Qualification) to extend, broaden and deepen studies has gained a positive response from students. Planning the curriculum and improving the offer with students’ views in mind has been an important element for colleges in the pilot. There is strong support among students for a ‘claiming’ process for the SFBac – something which it is up to them to claim on completion. Throughout the planning phase, the colleges have been visited by researchers from the Institute of Education. Professors Ken Spours and Ann Hodgson have looked into what staff and students think about the developments and given us food for thought, placing our ideas within the landscape of recent attempts to reform the English 16-19 system. For those staff involved so far, the benefits of being part of an inventive, creative and thoughtful process has been immensely valuable. David Igoe of the SFCF believes that government should support the initiative. “The coalition government has set out its policy in terms of an approach in which professionals re-take the curriculum initiative and engage young people in activities which properly equip them for the 21st century. This is what the Big Society is all about,” he says. We are getting to know what our students think and we are learning to work with them to shape the framework for the future in what is a ‘grassroots’ approach. This is a genuine pilot and trialling and discussion is helping us clarify, define and change framework requirements. We think it can make a significant contribution nationally to defining what counts as an educated 19-year-old today. Jackie Johnston is principal of The College of Richard Collyer, Horsham, West Sussex and David Adelman is principal of Godalming College, Surrey.